Put simply, cloud computing services take care of all your information technology needs at an affordable price with scalability as an in built option, be it over the internet or through a dedicated network. From storage, servers and databases to software, networking and analytics, cloud computing services include delivery of all these and more. Believe it or not, but cloud computing is already in your day-to-day lives. Whether you send an email online, or listen to music, or edit documents, or play games, chances are you are part of the cloud computing revolution already. From multinational corporations and start-ups to government organisations and NGOs all are using cloud computing services as of now. 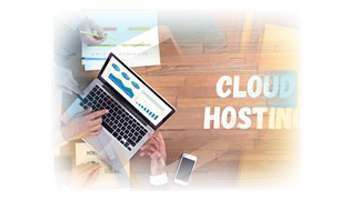 Manage all your information technology needs with the cloud hosting options from vStacks Infotech, an organisation having in depth knowledge of providing cloud computing services. Why your organisation needs cloud computing services? Whether you a start-up or an established organisation, just get in touch with us for all the benefits of cloud computing. 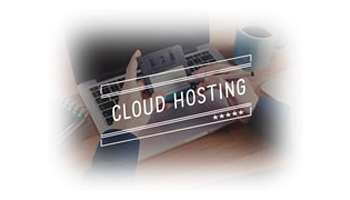 Be it for creating apps or services, hosting your websites or blogs, or storing, backing up or recovering all your data – vStack Infotech is the one stop shop for all your cloud computing needs. We can also deliver software the way you want it and can do data analysis for you as well. Mainly there are three main types of cloud computing services, namely Infrastructure-as-a-service or IaaS, Platform-as-a-service or PaaS and Software-as-a-service or SaaS. IaaS – Most basic form of cloud computing option, Infrastructure-as-a-service allows you to use all the IT infrastructure without actually buying all the heavy and costly IT machinery. You pay only as you use for whatever services that you rent. From an operating system, virtual machines and networks to servers and storage, you get all that you want from us without investing heavily in the purchase of equipment. PaaS – A cloud computing option, Platform-as-a-service provides you a platform to create, run and manage all your applications without the headache of acquiring and maintaining the cost of infrastructure that is considered necessary for creating and launching an app. SaaS – A cloud computing category, Software-as-a-service model allows to host your software applications over the internet. You don’t need to install an application or run it on your computers or data centres. Again, you save a lot of money and time because you do not have to invest in hardware purchase or its maintenance. Depending on the need of your organisation you can select any of the cloud computing resources from vStacks Infotech, namely Public, private or hybrid. What is it that you stand to gain from cloud computing services of vStacks Infotech? Reliability – Cloud computing and reliability go hand in hand. Your data always remains safe with us, courtesy our redundant datacentres. Also, your entire data remains completely backed up with us, so that you never lose anything. And, all of this without investing in creating the IT infrastructure. Impeccable performance – With secure datacenters on a worldwide network, you are assured of faultless service, always. You become more productive – You are not required to manage the entire IT infrastructure, we do that for you, and hence your team become more productive. You get the speed you always wanted – Bring your business up to speed with cloud computing services from vStacks Infotech, get the flexibility you have always desired. Cost effective – And, not to forget, all of this at very affordable rates. Do your business the way you want and leave all your IT worries to vStacks Infotech, get cloud hosting options now.